I Represent the Lollipop Guild!! 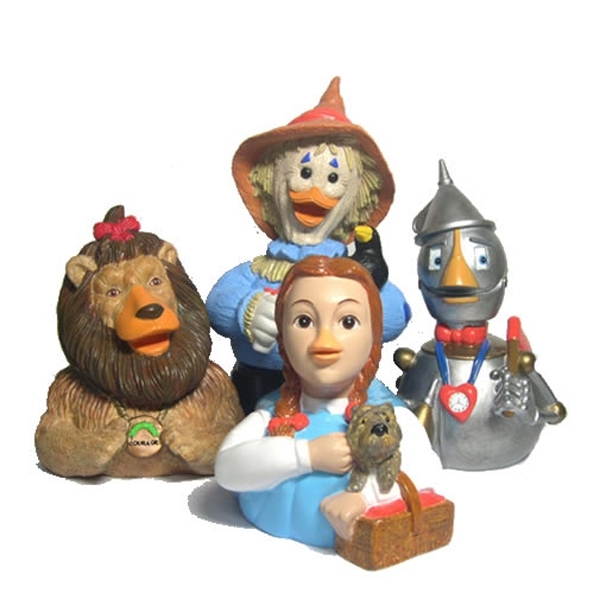 On August 25, 1939, The Wizard of Oz debuted in theaters across the country. It soon became - and still is - one of the most loved productions ever. Judy Garland’s theatrical debut in this film took her straight over the rainbow! 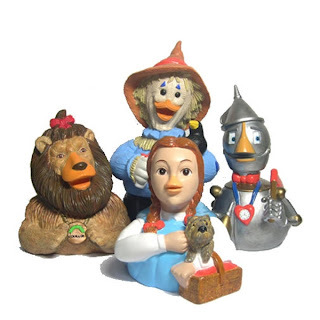 For those of you who represent the lollipop guild, check out our collectors set of Wizard of Oz rubber ducks, featuring Dorothy, the Cowardly Lion, the Scarecrow, and the Tin Man! Earthquakes, and storms, and hurricanes… OH MY! Folks on the Eastern Seaboard are getting hit hard with wild weather, and there’s much more to come after the 5.8 quake that crumbled through Virginia, and was felt all the way to Detroit! Hurricane Irene reaches Category 3 strength early this morning as the storm heads through the Bahamas making it’s way to the U.S. coast by the end of the week. Luckily ThrowThings.com can keep you prepped for mother nature’s upcoming events with the customized electronic Internet News and Weather Station clock! 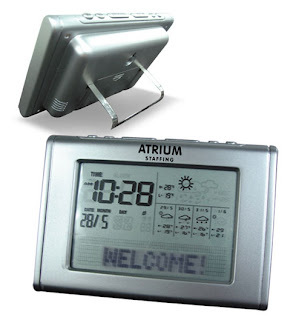 Complete with indoor/outdoor temperature, scrolling news headlines, and customizable weather stations! 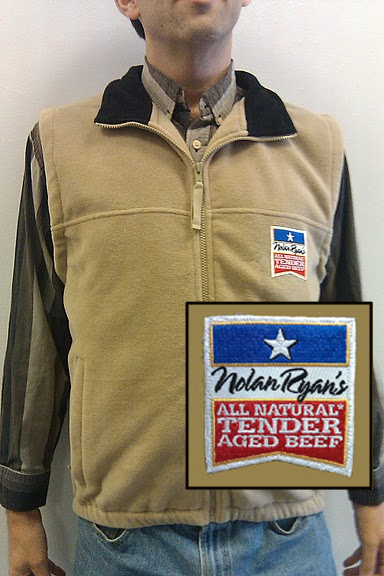 On August 22, 1989, Texas Ranger Nolan Ryan became the first major league pitcher in history to throw a whopping 5000 career strikeouts! Ryan earned 714 more strikeouts to finish up his career beating out the competition by more than 1000. Wanna beat that record? ThrowThings is pleased to offer our Rawlings Official League Baseball custom printed with your logo - on special now! Speaking of Nolan Ryan, several years back we did a project with custom embroidered patches for Nolan Ryan's All Natrural Tender Aged Beef which we applied to a nice vest. They looked great. Historical Fact of the Day. On August 19, 1909, the first automobile race was held at the Indianapolis Motor Speedway. Originally built for motor vehicle testing by Indianapolis businessmen, "The Brickyard" is now home of the most distinguished race, the Indianapolis 500. Race fans of all ages have enjoyed being “Back Home Again in Indiana”. 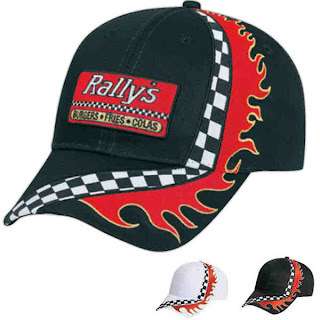 Get race-day-ready with our pro style racing flame design cap embroidered with your logo - the only way to stay on the hot streak! It’s Jersday everyone!! A new episode of Jersey Shore airs tonight on MTV, and some of us here at ThrowThings are pumped (fist-pumped rather) to see what this week’s episode has to offer! Last week we were thrilled to learn about Deena’s new marionette the housemates have dubbed “Pierre”. We’re looking forward to seeing what adventures Deena & Pierre get into during the series fourth season! While you’re finishing up your GTL, check out our full line of puppets, marionettes & ventriloquist dummies available! Last week in New York, a couples’ beloved “Bongo” – a stuffed monkey doll, disappeared while they were dining at El Gran Castillo de Jagua in Manhattan. The couple had been in possession of the doll for over ten years and was rarely seen without him. Bonni Marcus and Jack Zinzi treated Bongo like a child and offered a $500.00 reward for this safe return. Last Monday, Luis Barreto found Bongo sitting on top of a parking meter and took him in. Although he had fallen for the little guy he did ultimately returned the beanie monkey to his family. We here at ThrowThings.com don't claim to understand the thought process of a little monkey doll but it just seems reasonable that if he had some company of his own kind that he might be less likely to leave home. Bonni & Jack might want to take a look at Bongo’s close relatives, our Deluxe Gorilla Puppet and our Deluxe Chimp Puppet! We bet Bongo would like a little simian companionship and that the whole gang would enjoy a night out on the town - returning to El Gran Castillo de Jagua for dinner and then catching the early showing of ‘Rise of the Planet of the Apes’! Thursday the fourth season of Jersey Shore premiered with the cast “Situated” in Italy. “Snooki” (Nicole Polizzi) mentioned her unfamiliarity with the geographic location of Italy, stating “But I know what shape it is, and it’s, like, a boot.” Maybe someone should have given Snooki one of our Around the World with Walter Walrus coloring books when she was a kid. (Walter spins the globe and visits some of his favorite places like London, Paris and Venice.) This is just one of our great promotional coloring books that can be customized with your logo or message. They're a great educational promotion to consider as schools get back into gear. ThrowThings.com welcomes Sarah Fay to our team! Sarah has experience in customer service, sales, marketing, and graphic design. Having recently moved close to our headquarters, Sarah is eager to get in with the mix here at ThrowThings.com! She has extensive training in new products and how to market them and has worked in multiple areas of the promotional products industry including running her own company and handling national accounts. Her past clients include the Beverly Hills Hotel & J.D Byrider franchises among many others. When she’s not here working with the the ThrowThings team she enjoys spending time with family, friends, her boyfriend Ronnie, and their two dogs Molson & Duke. Sarah is also extremely creative, so feel free to contact her with any new interesting projects!